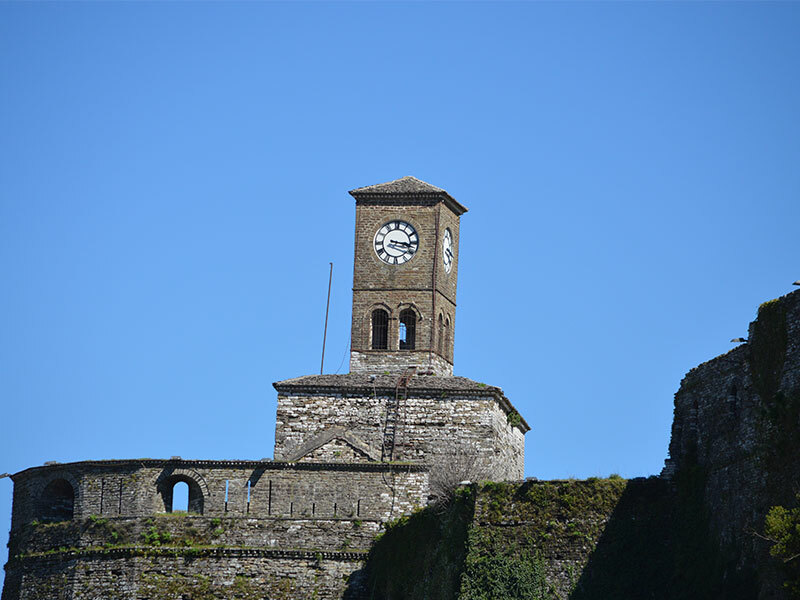 Gjirokastra did not have urban squares as meeting grounds for the population, nor did it have a city hall for their representation: the only building embodying rule and administration was the castle, and the only social spaces were the religious complexes. 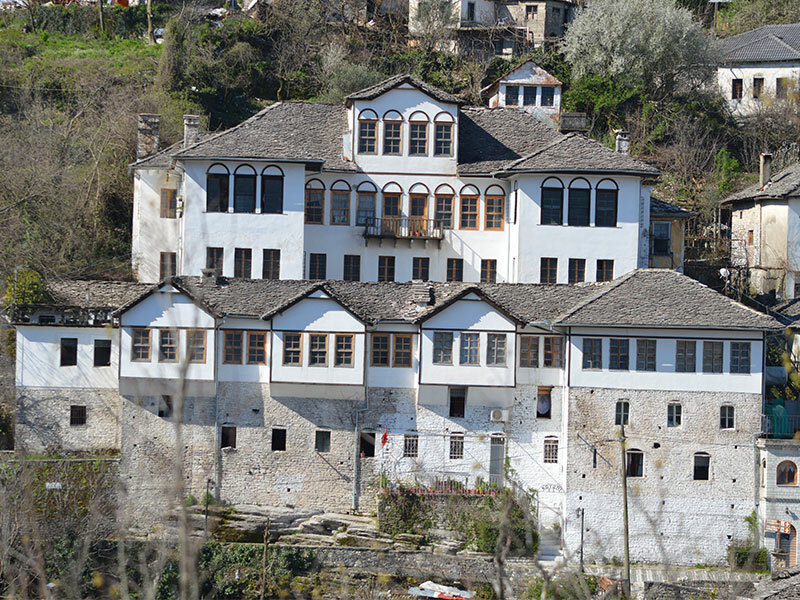 While the architecture of the historic buildings in Gjirokastra is indisputably influenced by Ottoman traditions, the old town is itself a product of many elements. Topography has done much to determine the location and layout of the town, which grew up on the steep slopes below the castle. The availability of natural stone for building blocks and large limestone roof slates helped to create the distinctive look of the city. 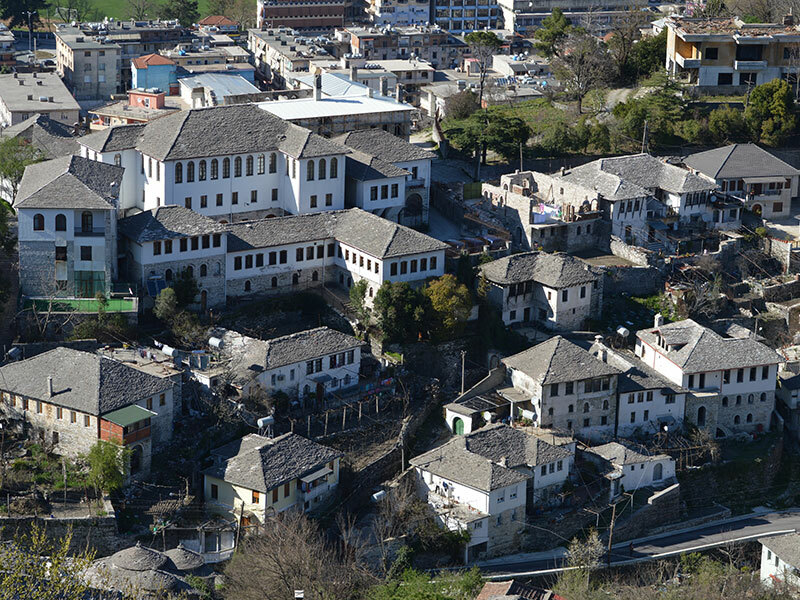 Gjirokastra was an important administrative centre during 19th-century, it was populated by landowners with the financial possibility to build the grand fortified tower houses known as kullë. There are over 500 of these historic buildings in the city. The design of these houses can give us an idea of life in Albania at that time. For these landowners having a well defended residence was necessary, as disagreements between Albanian clans often lead to violent feuds. In addition, there were a number of rebellions against the Sublime Porte in Istanbul. It was also important to have a secure structure to house livestock in the winter and to have a cool storage place (stera) for water during the long dry months of summer. The lower sections of the tower houses were made of stone, and they had two functions as defensible fortresses and serviceable storehouses. The social spaces in the upper levels of the house reflect the hospitable nature of the Gjirokastra people, as well as the cultural need to display their high status through opulent interiors. This need perhaps outweighed the need for security and, as a result, some individual properties’ designs are less defensible.